Similar to Restaurant Week, there are events that pop up throughout the year in San Diego for a limited time only. 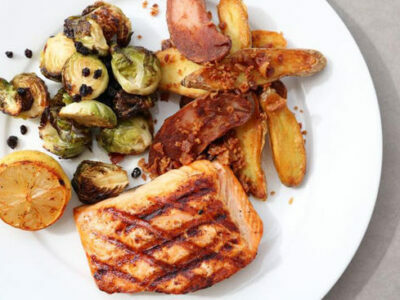 Whether you just happen to be in town when one of these events occur or are a resident who gets to revel in the southern California sunshine all year, opportunities that are only available for a specific number of days each calendar year can elicit feelings of exclusivity upon getting to take part in them. 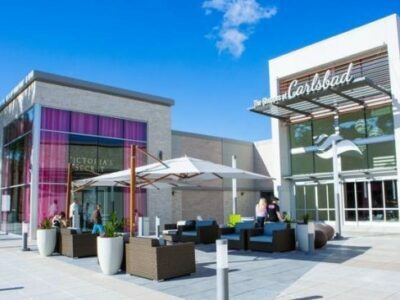 In Carlsbad, there are a number of events and locations specific to the city that make visiting and living here feel exclusive. 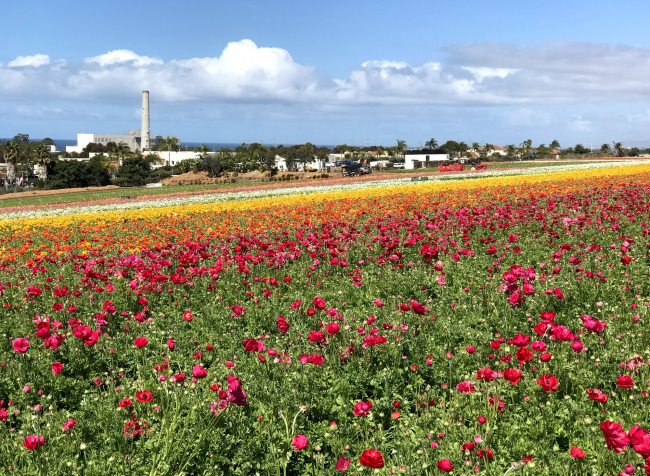 One of the most notable locations that puts Carlsbad on the map for four months out of the year is The Flower Fields at Carlsbad Ranch®. For those unfamiliar with the Flower Fields®, Carlsbad Ranch has been hosting guests to over 50 acres of coastal farmland filled with vibrant colors for the past 26 years. While the Giant Tecolote Ranunculus may not be the most familiar flower to suburban gardeners, the acres and acres of color that the Flower Fields bloom with every spring are an astounding and awe inspiring display of nature. The well manicured fields provide an organized layout that surrounds visitors for as far as the eye can see. The opening of the flower fields mark the arrival of Southern California’s spring. For the six to eight weeks that the fields are open, residents and guests can revel in the natural beauty of the bloom while enjoying everything Carlsbad Ranch has to offer. This includes varied gardens of roses, orchids, sweet pea blossoms, and petunias, tractor rides and sunset tours. The history of the Flower Fields® is just as interesting as the yearly bloom. Luther Gage settled in the area in the 1920’s. He brought the Ranunculus seeds with him and began growing them in South Oceanside. His knowledge of the flower spread to neighbors and was soon picked up by Frank Frazee and his son, Edwin. Edwin took a keen interest in the flowers and began carefully selecting and cultivating custom colors for the single petal plant that originally only yielded red and yellow petals. Edwin’s interest in the Ranunculus grew beyond his own fields, and eventually he joined forces with Paul Ecke Jr. to revive his poinsettia farm and create a ranch where the Ranunculus could be showcased and agriculture could be promoted within the community. 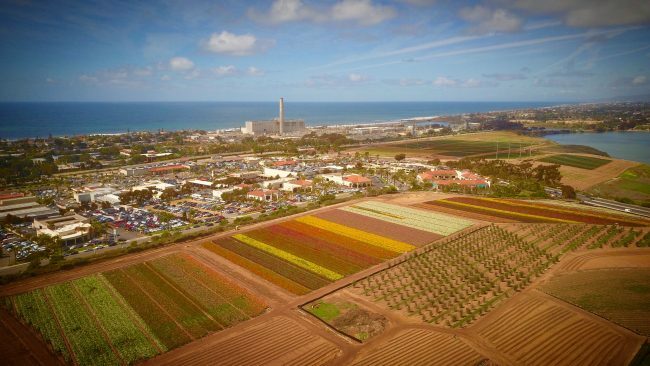 Today, The Flower Fields at Carlsbad Ranch® are an enduring San Diego landmark that is unique to the city and the state as a whole. The ranch hosts thousands of visitors a year, providing an opportunity to take part in special events, educational programs, and floral products. From early March to early May, the fields are open to visitors. 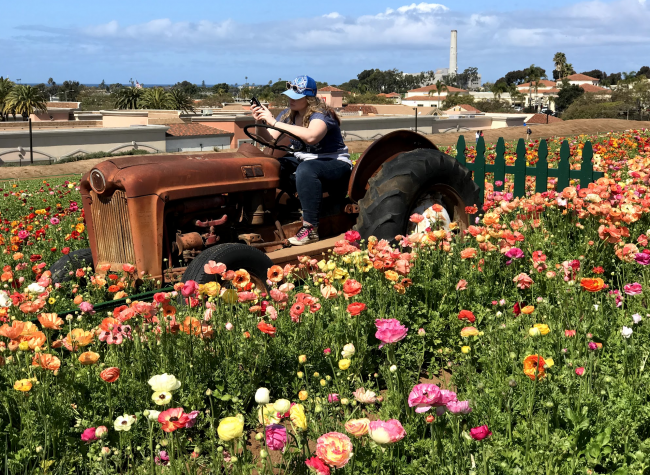 The bloom is on a hillside overlooking the Pacific Ocean and the ranch offers adults and children the ability to explore while taking in the beauty of the acres of flowers surrounding them. In addition to the massive bloom of multi colored Ranunculus flowers, the ranch has a variety of things to explore. The American Flag of Flowers flaunts red, white and blue petunias while the Artist Gardens provide an escape that utilizes Southern California’s greenery for artful expression. 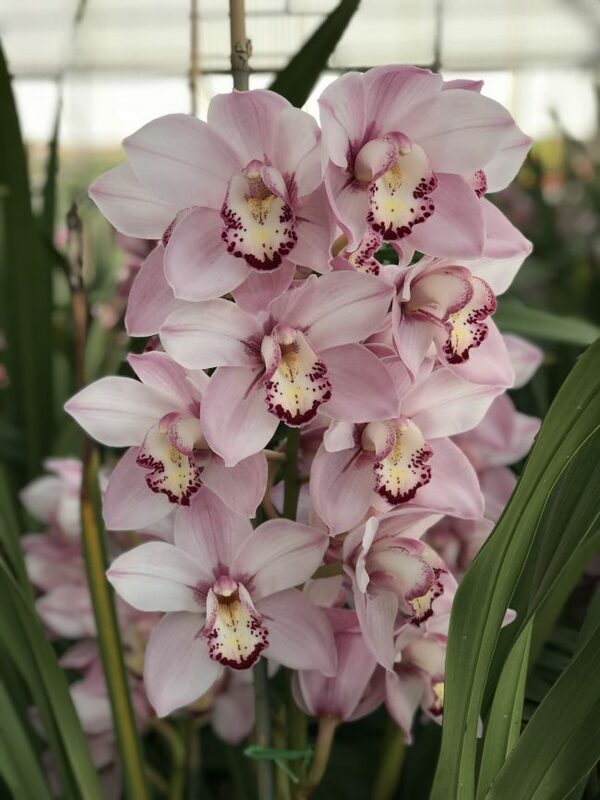 The Cymbidium Orchid Greenhouse, Historic Poinsettia Display, Demonstration Garden and Sweet Pea Maze all highlight specific plants while allowing guests to interact and explore. During the open season, The Flower Fields® offer a variety of events that build on the beauty of the landscape within. Floral arranging workshops, basket weaving and photography workshops offer fun for artists of all kinds. For music lovers, live music nights and Blues day provide a soundtrack for the colorful backdrop surrounding the stage. The After Hours events are an exclusive opportunity to enjoy the fields at night. This April, the Flower Fields® are hosting an Evening in Full Bloom. On April 20, visitors can’t miss this chance to spend an evening ensconced in the natural beauty of The Flower Fields® while taking in great conversation, wines, and first-class dining experience. Tickets are available now and will sell out quick. In addition to the Evening in Full Bloom, the fields are collaborating with Visit Carlsbad and local Carlsbad chefs for ten days of food inspired events for all five senses. Petal to Plate will be running from April 5-15 throughout the city. The Flower Fields® have been open for just a few weeks this year. 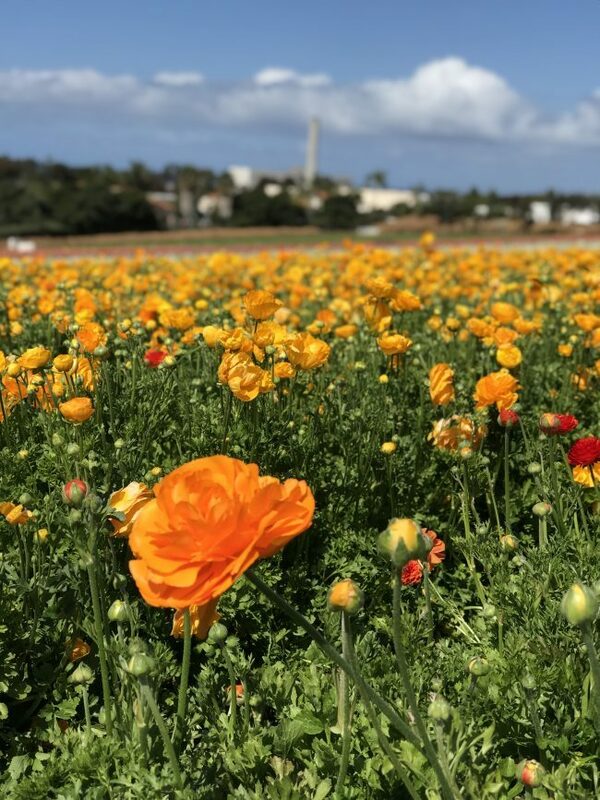 Whether it’s to experience Arts and Crafts days, live music, or a sunset wine tasting and music pairing, the Flower Fields® are an iconic and exclusive experience in the heart of Carlsbad that can’t be missed. March 1 through May 13, 2018. 9 a.m. to 6 p.m. daily.